Laminated 10 oz. Linen Spa Liner 10 (2BSPL10) is a laminated vinyl with a linen emboss for a simple and elegant appearance. 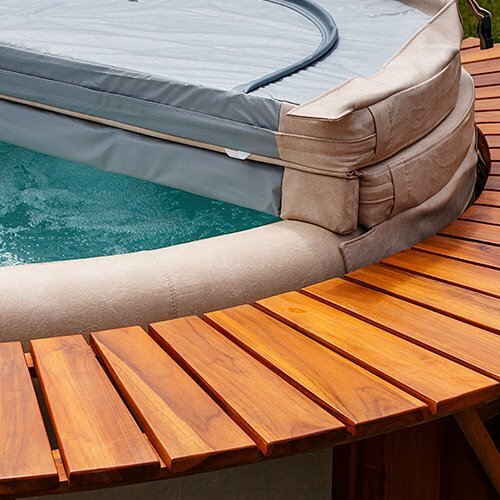 This product is treated to resist mildew, bromine and the growth of bacteria common in spas. This material comes in the color Grey and is available in a 51″ with a 70 yd put up.